If you’ve recently been in a car accident, you have a number of questions to ask yourself and very little time to get answers. But the most important question to ask is whether you’ve been appropriately diagnosed and evaluated by a doctor. Did you know that some auto accident injuries can take years to become symptomatic? And many doctors aren’t properly trained to detect soft tissue injuries, and even fewer are trained to detect spinal injuries correctly. As a result of insufficient evaluations, or a lack of evaluation at all, many car accident victims will settle their case with an insurance company before these injuries become symptomatic. For more information on the most common injury sustained in an auto accident (even at speeds as low as 15 MPH), visit our "Whiplash" page. 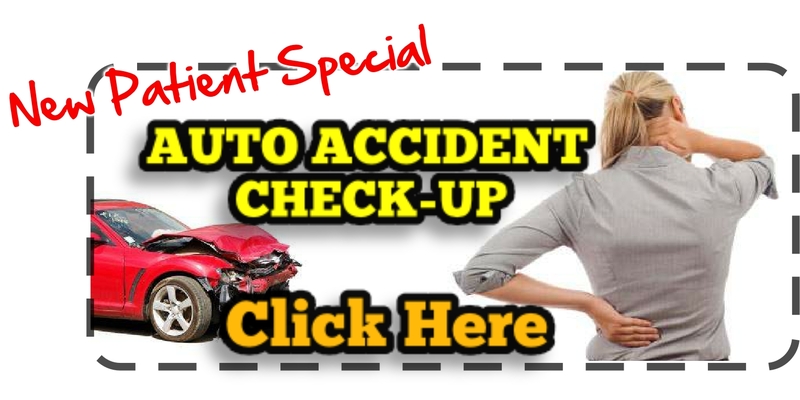 Don't ignore symptoms that seem easy to "Explain away"
This is where the problems begin – when people get into an auto accident they focus on one thing first – their automobile – and often times won’t focus on the more important factor in an auto accident- their health. Often these symptoms can be more subtle indications of a whiplash or soft tissue injury to the neck. But as the initial muscle soreness fades, and as your brain convinces you the first three symptoms are just due to stress, you'll forget to get checked out. Bodies are amazingly adaptable – they’ll compensate for damage, making you feel ok in the short run, but that compensation will cause worse damage over time. Why can’t my regular doctor tell me everything I need to know? Most doctors aren’t trained to detect hidden injuries. They’ll focus on the symptoms you are feeling right now and often won’t do the tests necessary to detect injuries that aren’t currently symptomatic. If you’ve been in an auto accident you need a doctor who is trained in the biomechanics of the human body – someone who treats these kinds of injuries every day. A chiropractic office sees auto accident injuries on a regular basis. Our doctors have been trained to detect abnormalities in the structures of the spine and neck, as well as in the soft tissue of those systems. We’ll be better able to detect your potential injuries and put together a plan to fix any injuries we find. And if we detect an injury that we can’t help, we will be able to refer you to a doctor or facility that can help. What are the questions you should be asking yourself? 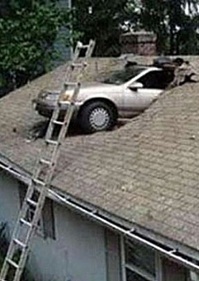 Q: What if it was a very minor accident – my car didn’t even really sustain more than minor damage? A: There have actually been studies to show that the amount of damage to your car actually has little to do with the amount of damage your spine may receive. The angle of the accident, the speed you were going, and a multitude of other small details can change the amount of damage your body receives. Whiplash injuries have been observed in accidents that occurred at speeds as low as 15 MPH. Q: Should I check with an attorney before I see a chiropractor? A: The most important thing following an accident is that you make sure you aren’t injured. Thus we recommend you visit a chiropractor first, because it will ensure your health first. Additionally it will give you the information you will need to decide if an attorney is necessary. We do also have a number of attorneys our office can recommend to you if you discover you need one. If you’ve been to an attorney already we won’t deny you the ability to get evaluated – often an attorney will recommend you get an evaluation right away so they can know the extent of your injuries. The real answer is that it doesn't matter which order you pick an attorney or chiropractor, just be sure you get evaluated and protect your health before you settle your case you will be in good hands. A: If the accident occurred in the state of Pennsylvania (no matter who was at fault for the accident) you need only to initiate a claim with your insurance company prior to coming in for your initial consultation. Our team will work with your insurance company to ensure treatment is paid for in full by your coverage. Because PA is a "no fault" state, your insurance company will handle the details if the other driver's insurance company should be paying for your care. If your accident did not occur in PA, please give our office a call and we will do the "legwork" to see who we need to bill and after your initial consultation should be able to give you an idea of any costs that may be associated with your care (which odds are will be none at all). Q: The insurance company is pushing me to settle (usually in accidents occurring outside of PA) – what should I do? A: Do not sign or settle until your injuries have been fully evaluated. And if you feel you need an attorney, make sure you consult one before you settle as well. If you settle before your injury is resolved you will be on your own and responsible for paying for your own care. For more information on whiplash injuries and how they can affect you years after an accident, visit our whiplash page. If you have any questions about how our office can help you following your auto accident don’t hesitate to contact us. You can also view a checklist of items to have on hand in the event of an accident and how to handle things after an accident, or download a copy of our "How We Help: After A Car Accident" Brochure, complete with post-accident checklist.